Our NAEYC Accredited, play-based program offers your child learning, growing and social experiences with peers and caring, qualified teaching staff each day. The daily program will include structured learning periods, active play periods, and self-initiated discovery periods. View the tabs below to learn more about the different features of our program. Young children learn from their daily interactions with the environment. A carefully planned, rich environment is the foundation for our child development programs. We use the criteria established by the National Association for the Education of Young Children (NAEYC) to guide us. The Creative Curriculum by Diane Trister Dodge provides the framework for our classrooms—infant through school-age. The Creative Curriculum focuses on interest areas and fosters creativity in both children and teachers. Being creative means thinking of new ideas, obtaining information by asking questions, and learning through trial and error. Teachers’ creativity is supported by a planning process that encourages them to be innovative in the use of materials and equipment and responsive to children. The Creative Curriculum provides information for developing an educational setting in which young children can thrive. 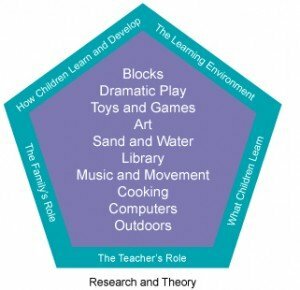 For more information and research about play-based learning, check out our Parent Resources section. The Star Wellness program helps children and families learn about nutrition, fitness and healthy habits in a fun and interactive way. Children are led through various activities by their very own Star Guy. Families are encouraged to participate in the Star Wellness program as well. Each month we include a family focus around one food concept and one fitness concept. We have developed weekly “challenges” for families to accomplish at home. 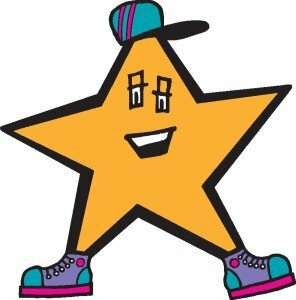 We believe that by reinforcing these concepts both at home and at school, children will see the importance of being healthy like The Star Guy! We have introduced two additional components of the Star Wellness program. Lana the Iguana helps children learn about fruits and vegetables. I AM MOVING I AM LEARNING is a curriculum for teachers that includes activities and goals around physical activities. Taken together, these programs keep our focus on health and wellness fresh and fun! Our food program includes breakfast and lunch, which is catered from The Preschool Pantry. Our meals are well-balanced and nutritious. Each week the children eat a variety of fresh fruits, and all the lunches meet USDA standards. Infants and toddlers extend their language learning through sign language. Communication between teachers and children improves with the use of signs and gestures, leading to positive and enriching interactions. 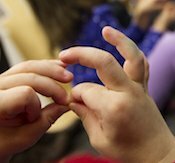 Learn more about the research around and benefits of sign language for young children here. Literacy takes place throughout your child’s day with storytelling, social interactions, group time, dramatic play, and more. Our program teaches writing to preschool children using the ez Write curriculum. Mary Beckman, an Early Childhood Special Education Teacher and her co-author, Tami Thoreson, an occupational therapist, developed this handwriting program for young children that is both fun and “ez” to learn. With the ez Write Handwriting Program young children start early writing skills by first learning the 8 Beginning Strokes used for letter and number formation. Children trace big posters, draw in sand, paint and trace the lines with a variety of writing utensils. 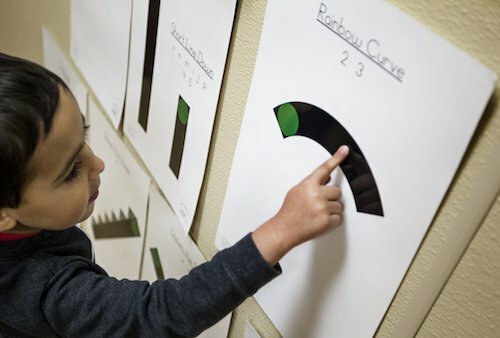 As children commit each of the 8 Beginning Strokes to “Muscle Memory”, learning to form letters and numbers using those strokes becomes easy and automatic. The curriculum teaches children to write from top to bottom and left to right (the way we read and write) and use a crayon and pencil in the most efficient way. As children learn these skills, they gain confidence, their frustration levels go down and they are ready to actually learn to write. Preschool/Pre-Kindergarten children at Especially for Children have the opportunity to take field trips to local farms, zoos, concerts and more. Field trips are a great way for children to experience hands-on learning. We often develop curriculum around an upcoming field trip to make the learning experience even more meaningful. We love to have parent volunteers join us on our field trips! We also invite special guests to visit us for in-house field trips for all age groups. These include storytellers, puppeteers, naturalists, and more! This summer ,the children at EFC will learn about Minnesota through hands-on adventures. They will create art projects based on loons, ladyslippers, and the Cherry and Spoon; they will measured their heights against the height of Paul Bunyan. They will camp in dramatic play, plant and grow their summer gardens, and enjoy all that Minnesota summer has to offer. In 2017, our summer’s theme was Diggin’ the Great Outdoors. Families who were with us last summer may recall that we added gardens to the center. Children and teachers tended crops, and in doing so explored the science and art of growing, harvesting and cooking. 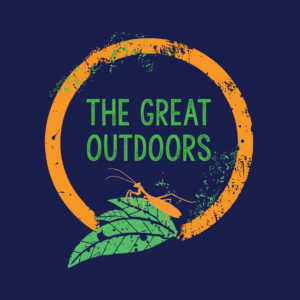 This summer we will return to exploring nature and expand our growing experience in the dirt and in the great outdoors. We look forward to Diggin’ the Great Outdoors with you and your family. In the summer of 2016, our theme was Learning to Grow, Growing to Learn. We introduced children to the process of growing/raising food through learning about the science, people and culture behind our plates. Children experienced the wonder of tasty and healthy foods. They dug, planted and watered. They harvested, prepared and tasted. And in doing so, they got to know their food in a whole new way. The Farm to School movement has taken hold across the country, and we were thrilled for our youngest learners to join in. The concept was about food, of course, but also about so much more. What we eat depends on our environment – the sun, the rain and the soil – so food is a wonderful tool for children to learn about science and the natural world. What we eat goes hand in hand with who we are as individuals and communities. Nearly all of us can point to a recipe handed down from our grandparents and see a glimpse of our own culinary “roots.” Food and culture are intertwined, so it is a perfect vehicle to explore people and cultures in our own backyard and around the world. And of course, food is critical for our health. 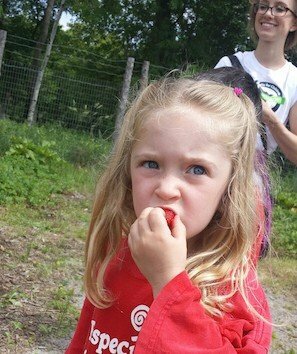 In learning about where food comes from and how it’s prepared, children become familiar with and learn to love foods that are both tasty and good for them. Food is a perfect window into our health, our communities and our environment, and hands-on experiences give kids a chance to play with their food and even get a little dirty – now what could be better?! Our school gardens were a highlight of the summer. Check them out here! In the summer of 2015, the children at EFC learned about Minnesota through hands-on adventures. They measured their heights against the height of Paul Bunyan. They “traveled” through the state fishing, farming, and recreating city life in their classrooms. Charles Lindbergh and Laura Ingalls Wilder were some of the famous Minnesotans who came to life. Children learned about weather, space, and bugs one month and then moved on to animals, fish, and vacations the next month. They contrasted the environments of the country, or rural areas, with those of the cities. They talked about farms and sanctuaries, sports and parks, Farmer’s Markets and the State Fair.